Sean Simmonds is the real deal. He steps on the urban Gospel scene with more than just hot music! His fresh taste, musical finesse, testimony, and strong message all make up an impacting ministry that will reach the masses. The urban flavors (with the message) will reach, who some call, unreachable. His first experience as a performer occurred in his hometown of Toronto at a shopping mall showcase when he was nine years old. After receiving rave reviews from the press, Sean knew that music was his calling. He continued to work on his singing and secured a spot in the JUNO award-winning Sharon Riley and Faith Chorale at the age of 15. During his six year tenure, Sean toured with the group and was even selected to sing behind James Brown in the box office hit, “Blues Brothers 2000” starring John Goodman and Dan Ackroyd. 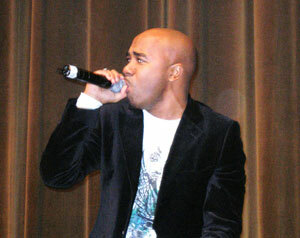 The soundtrack garnered a Grammy nomination. Although Sean left the chorale to attend college, he never stopped his music career. He attended Oakwood College , the birthplace of artists such as Take 6, Brian McKnight and Virtue. 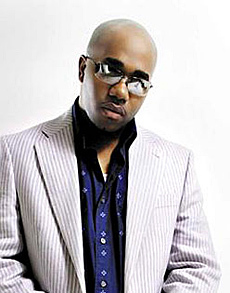 While pursuing his business degree, he became one of the lead vocalists for the urban gospel group, Chapter 5. In 2002, “Create in Me” peaked at #7 on the “Bobby Jones Top 20 Countdown” and Chapter 5 was chosen to be co-presenters with Jermaine Dupri at the Stellar Awards. 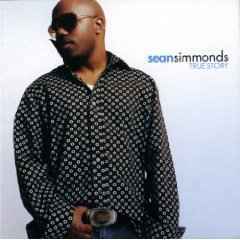 Sean Simmonds’ debut release, “True Story” (Xist Records/Alliant Music Group) was released in February of 2006. “True Story” is a reflection of Sean’s high and low points in life set to a smooth Urban Gospel/R&B soundtrack. The album’s credits resemble a Who’s Who list of writers and producers such as Kelvin Wooten (Anthony Hamilton, Raphael Saddiq, and Jill Scott), Montrel Darrett (Commissioned, Londa Larmond) and Sean Simmonds. The first single, “Won’t It Be,” was written by Hallerin Hilton Hill (Take 6, Fred Hammond). Without being overly preachy, Sean reveals his struggles with his relationship with The Creator and provides a source of comfort to those walking in similar paths of life. Sean says that “Won’t It Be,” is a song of encouragement for the masses. Before its stateside release, the music video for “Won’t It Be” reached #1 on France ’s Gospel charts and also charted throughout Europe. 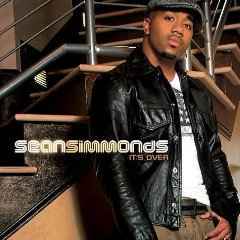 Sean Simmonds ignores the typical "sophomore slump" with the release of "It's Over" (2008). It brings great beats with the Word of God that is easily applicable to situations commonly faced in today's world. The CD highlights Sean's vocal abilities, production genius and writing integrity. With songs like "You Did It" and the title track "It s Over" consumers will experience the fun and excitement that Christian should always enjoy in their walk. When it comes to the song "Mary's Baby", produced by Antonio Neal in collaboration with Canton Jones, Sean delivers the story of the birth of baby Jesus like never before! The lead radio-single "My Life", featuring Sharon Riley & Faith Chorale, is sure to be a classic, and one listen to the second radio single, "God Is Real", will convince everyone that Sean is a believer in what he is singing about! Although the name of the CD is It s Over, truly it s just the beginning.